Been a year of anniversaries, hasn’t it? As an aside, the first modern centenary, according to a thing I read on the weekend in the TLS, was 400 years ago, 1617 – the 100th anniversary of the start of the Reformation. It marked the occasion when Martin Luther popped down to the local Mitre 10 and got a hammer & some nails, all the better to affix his wee note on the problem with Catholicism to the door of the local kirk. We just, for New Zild political nerds, had the 30th Anniversary of the fourth Labour government’s December 1987 economic package. It was this which finally split that government, eventaully, with the ripping noise being the main political sound effect for the next 12 months. More recently there was the 100th anniversaries of the Russian Revolution – the October, Bolshevik one, that is – and the Battle of Paschendale. January 2017 was 50 years since Rob Muldoon first became finance minister, and didn’t that end well? Musically, 1967 was a biggie. I’m going to focus on music now, simply because I’m sitting in a hospital waiting room so screw having a look at anything serious. Earlier in the year it was 50 years since the Beatles released their Sergeant Pepper’s Lonely Hearts Club Band album. Someone coming to the matter, cold, would be left with the impression this was one of the greatest cultural event since the last greatest cultural event which got the baby boomers all excited. There is, of course, the release of yet another rerelease/reissue/remastering of the album, this one is ‘super deluxe’ one in which you can hear Ringo scratching himself in both mono and stereo. As someone who was only a month or so off my third birthday, I have to say Sgt Pepper didn’t make a great deal of impact on me at the time. I can remember Penny Lane on the radio, earlier that year. It was, I now gather, originally intended for the album, as was the other side of that single, Strawberry Fields Forever, but they wanted a single and, as was the custom with British bands, it was released separately. I think both are better than anything actually on the album, with the possible exception of A Day In The Life. Years later, as a teenager taking an interest in music and being more than a little disgruntled with what was on the radio at the time, I asked for the album for Christmas. It was, after all, supposed to be the greatest album of all time, according to the musical books I’d read. It was…interesting, certainly. Great swirling depths on some tracks, especially ‘Lucy in the Sky with Diamonds’ and ‘Being for the Benefit of Mr Kite’. Some of it was a bit naff. It was ok, and interesting – certainly more so than the disco (and worse) on the radio in the late’70s. But ‘Penny Lane’ is a song I still associate with childhood summer: to me, those high exuberant trumpets sound like the sun on the skin feels. Dad had made a sandpit for us at the start of the summer and I remember playing with this great little red tractor in it; the sound of the old radiogram coming through the window, the kind of deep, wooden mahogany tones which are unique to the sort of cabinet those old devices came housed in. I’m sure being mixed in mono had something to do with it, for audiophiles, and probably being played on vinyl also had an effect. But I’ve never heard music with quite the same warm rich tones since. This is probably partly nostalgia but hey, its Christmas. It is a bit weird, looking at the video clip the Beatles did at the time, because it is so clearly the dead of northern hemisphere winter and it is a song which to me beams the laid-back heat of a New Zealand summer. Other music from that year – and it must have been a time I was starting to notice what was on the radio – was Bobbie Gentry’s Ode to Billie Joe. This was very much to my taste, because it mentioned ‘my brother was out baling hay’. I loved the machinery brought in for making hay on the farm, especially the baler. There should be more songs which mentioned baling hay, I remember thinking at the time. The rest of the song seemed a bit pointless. While taking a vaguely nationalistic bent and watching “Coast – New Zealand” on the Teev, this evening – and in particular listening to the way Scottish born presenter Neil Oliver says “New Zealand” I found myself recalling a theory expounded by an old English teacher from my school days. 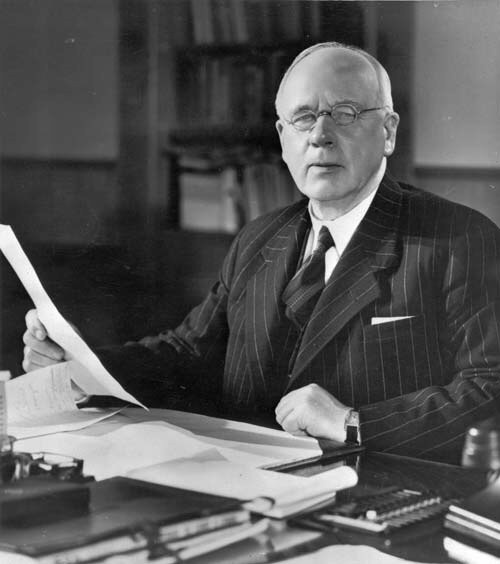 He reckoned the way New Zealanders pronounce the name of the country – “Nu Zillun” – was derived from Peter Fraser, Prime Minister 1940-49. Fraser was born in Scotland. This teacher – himself of Scottish heritage and a pillar of the local Presbyterian Church – had a theory Fraser’s diction was picked up and copied by New Zealanders. It’s not as far-fetched as it sounds. Fraser was the wartime Prime Minister and that first Labour government was an extremely enthusiastic user of the publicity techniques of the time which included radio and of course newsreels. It was the first government in New Zealand’s history to use such publicity mechanisms in quite such an aggressive way. My old teacher’s theory came back to me this evening as I watched the Scottish presenterof “Coast: New Zealand” talk about the country and yes, pronounce it ‘Nu Zillun’. Posted on April 26, 2016 April 26, 2016 by Rob HoskingPosted in History, New Zealand, New Zealand History, New Zealand Labour PartyTagged coast new zealand, kiwi accent, neil oliver, New Zealand history, peter fraser, scottish influence. pen and notepad, and see that language is mutating. That is Roger Horrocks on the effect of the digital world on books, writing, literature, culture – and, ultimately, identity. The full piece is here and it’s well worth a read. He doesn’t come to any conclusions – sensibly, I think. We’re in the middle of a revolution right now – and for once the word ‘revolution’ is not hyperbole – and it isn’t at all clear what the outcome will be. Horrocks isn’t sure whether to be optimistic or pessimistic. Personally, I’m tentatively optimistic. New Zealand has always had a very “thin” cultural scene – it is a function of our small size and distance from everywhere else. The internet has broken that down and will no doubt break it down further. It is in the process of wrenching our notoriously parochial cultural scene out of its small-town-ness: it is also breaking down hierarchies and – dare one say it? – the ivory towers of universities. Technology is breaking down both distance and walls and this has only just begun, I believe. It makes our small size less telling, provides easy access to a more global perspective and ideas and, obviously, helps ideas get around. History is also deepening. The passage of time itself is helping, of course. But there is, I’ve noticed, a real hunger to talk, argue and occasionally throw things about New Zealand’s history, amongst the generation coming through. As for the choice Horrocks outlines in the last line quoted above: I don’t think its a choice. It’s both. The trick is going to be making sure the extension and pooling of consciousness happens along with the noise.